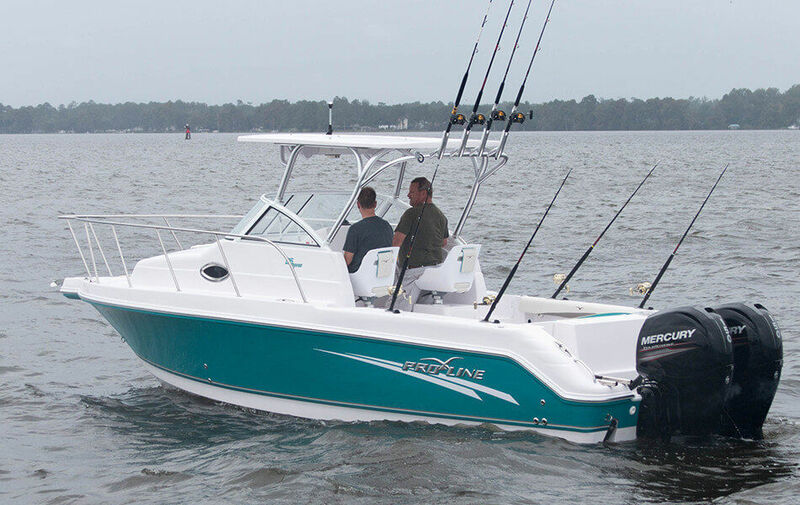 Pro-Line’s 26 Express brings big offshore boating to those of us that want to trailer the boat anywhere and anytime! And with over 200 gallons of fuel you can take this where others dare not go. 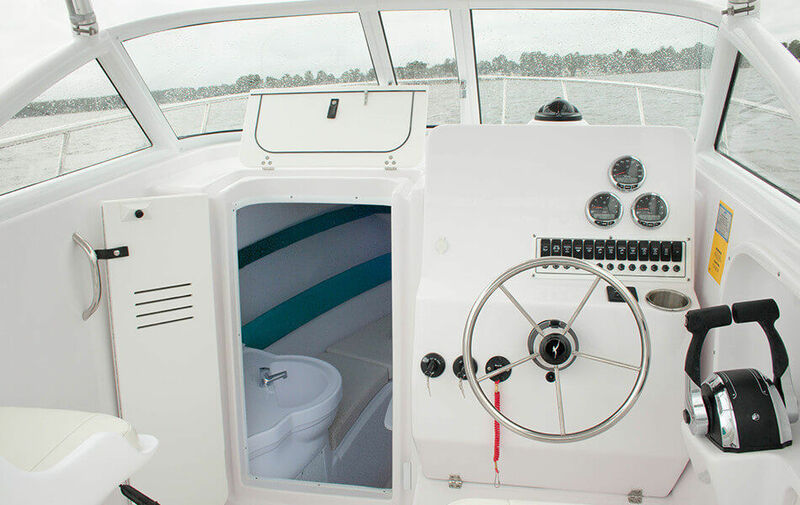 Below deck the 26 Express offers a large forward sleeping area, freshwater sink, porta potti, and all the amenities Pro-Line has become famous for. On deck fishability abounds. A twin helm seat is positioned for easy 360 degree views. 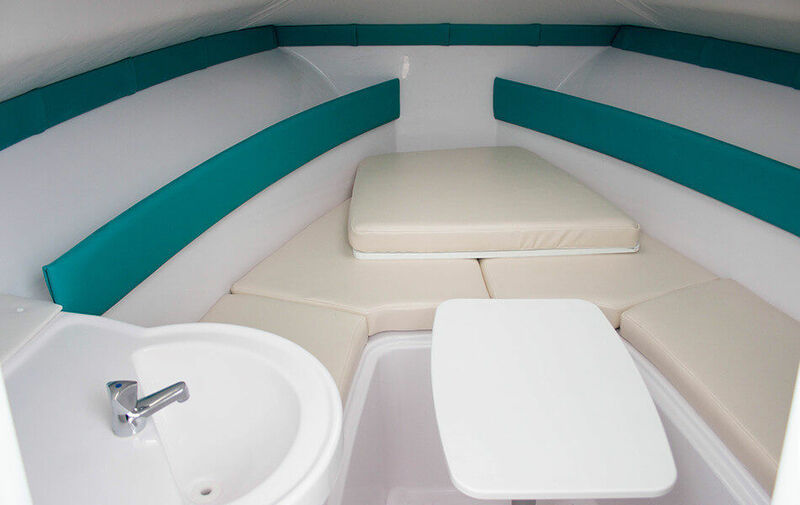 Pro-Line’s custom foldaway cockpit bench seat makes it easy to entertain or easy to make quick room to bring in the big catch. 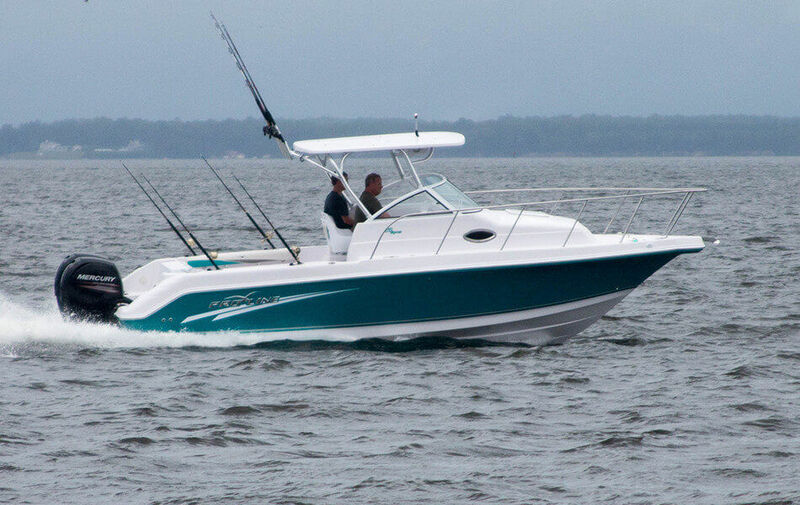 And fishboxes, a lighted baitwell, rod storage, bolster pads, and large transom door ensure that when the fishing gets hot, your new 26 Express delivers! 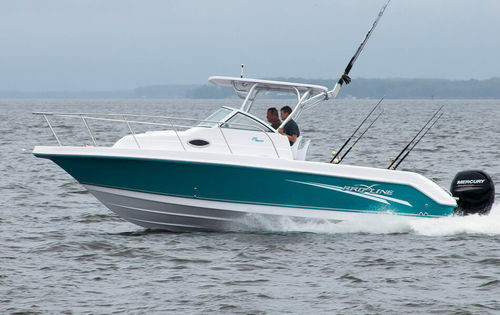 The Pro-Line 26 Express. From the Highways to the Canyons.